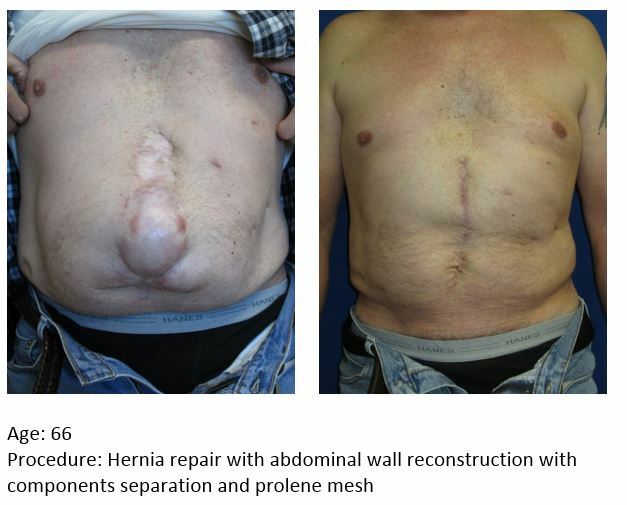 Difficult hernias of the abdominal wall can occur after previous abdominal or hernia surgery. 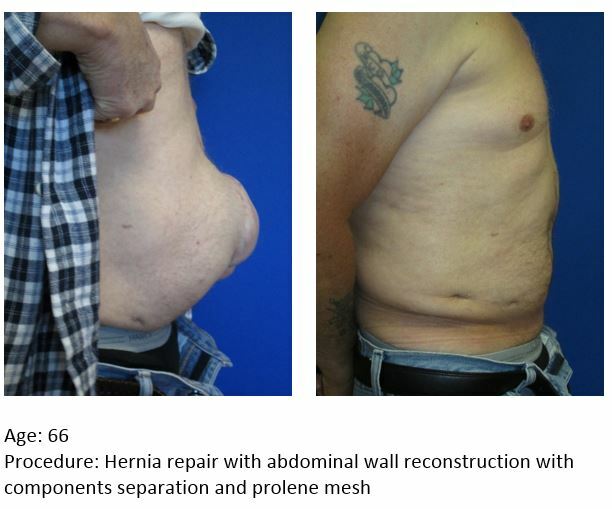 Patients seen by our surgeons have usually had several procedures done to repair the hernia. 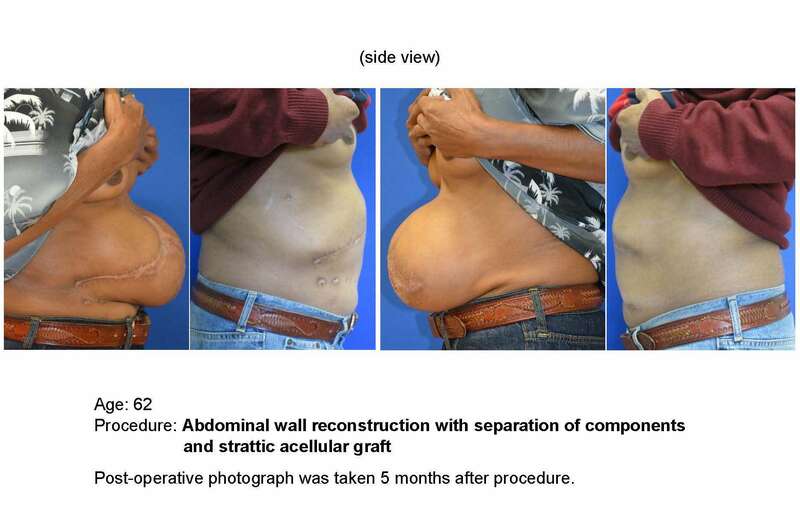 Prior to seeing us, the problem has usually recurred and frequently worsens. 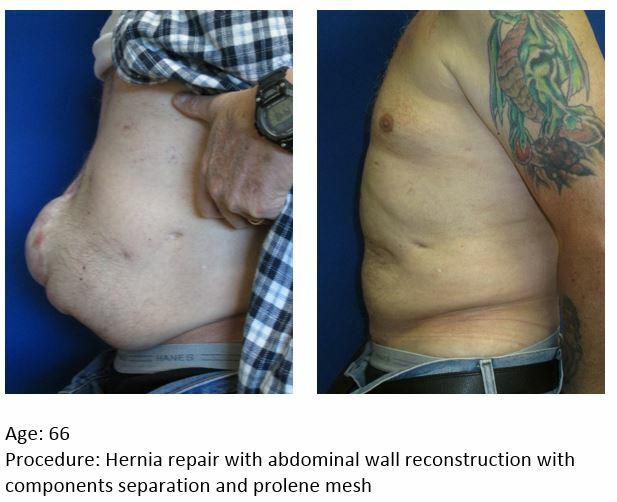 Pain, poorly fitting clothing, difficulty with physical activities and intestinal problems are often seen in patients with large hernias. 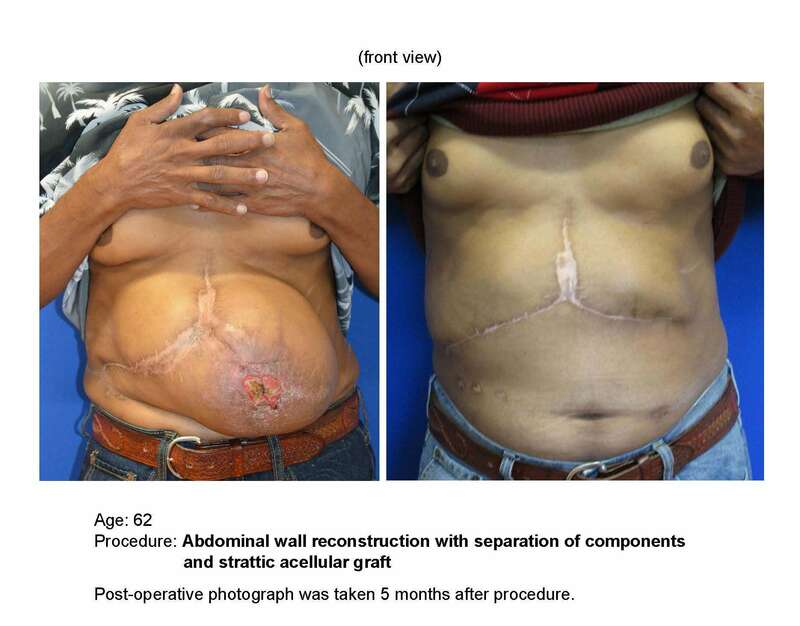 The photos below represent Dr. Bruce Mast’s prior abdominal wall reconstruction surgery patients.